Nationalist Congress Party (NCP) supremo Sharad Pawar has turned down Congress President Sonia Gandhi's offer to lead the Opposition's charge as their candidate for the next presidential polls. A wily politician like Pawar strongly feels that Opposition does not have the numbers to challenge the BJP which is aggressively pushing for a candidate of its own. And the fear of losing has forced Pawar to give up his claim for the President's post. With Pawar no longer in the race, the united opposition is struggling to find a candidate who can take the fight to BJP. Earlier, the opposition believed that Pawar, who has cordial relations with parties across the political spectrum, would secure support from parties that are not exactly part of the united opposition. In fact, Shiv Sena had claimed that Pawar would make a good President. Notably, Sena has in the last two presidential elections never voted for the NDA candidate and the opposition was hoping that by fielding Pawar it could get Sena's support. But, all that seems to be history now. A section of the opposition was keen on giving a second term to incumbent President Pranab Mukherjee who is said to have told them that he would only contest if the government also backs his nomination. However, BJP is not keen on giving Mukherjee a second term considering that except for APJ Abdul Kalam no other person with a non-Congress background made it to the Rashtrapati Bhawan. Turning this presidential elections as an ideological contest, the ruling party is not shying away from a contest even if it goes down to the wire. Bihar Chief Minister Nitish Kumar too has openly endorsed Mukherjee's name, but BJP remained unmoved by these overtures and has reportedly asked Union minister Mahesh Sharma to vacate his Rajaji Marg residence so that it can be allotted to Mukherjee once his term expires. 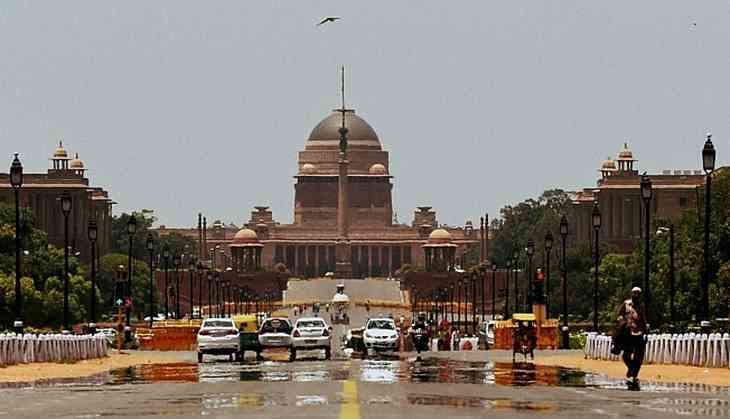 With President Pranab Mukherjee also bowing out of the race, the opposition is left with only vice president Hamid Ansari, former Lok Sabha speaker Meira Kumar and former West Bengal Governor Gopal Gandhi as the possible contenders for the presidential elections. None are popular enough to sway members of political parties who are not aligned with either the ruling dispensation or the opposition. Though West Bengal Chief Minister Mamata Banerjee has thrown her weight behind Gandhi, apparently the opposition is not yet keen on declaring him as their presidential nominee. Last week, Banerjee had a meeting with Sonia Gandhi and her son Rahul Gandhi and presidential election did feature in the 40-minute long discussion. Emerging out of the meeting, Banerjee informed the media that no names were discussed but the need for a consensus amongst the opposition did feature in their talks. It is also being speculated that the opposition wants to wait for the dates of the elections to be declared first. Moreover, they are also keenly awaiting who is named as the presidential nominee by the ruling dispensation. At present, BJP has close to 48.5% votes of the electoral college and has secured support of YSR Congress after their leader Jagan Mohan Reddy met Prime Minister Narendra Modi. It is being speculated that a section of AIADMK and Telangana Rashtriya Samiti could also vote in favour of a BJP candidate. There are still some doubts about Biju Janata Dal who could go against the BJP considering it is facing considerable heat from the saffron party in Odisha. However, it could all change if BJP plays the masterstroke of nominating Jharkhand governor Draupadi Murmu, who is from Odisha. BJD would then be forced to support her candidature or else BJP could use it against the BJD during the 2019 assembly elections. The other front runners who are being considered by the saffron party include Lok Sabha speaker Sumitra Mahajan and Union Minister Venkaiah Naidu. Whatever be the outcome of the presidential elections, it has given the opposition a chance to unite before the 2019 Lok Sabha elections. With the ruling party securing one emphatic victory after another in the various state polls, the opposition feels that if a united non-BJP front doesn't emerge before 2019, the national elections too could become a cake walk for the saffron party. It is for this very reason that regional satraps are meeting and inviting leaders of the like-minded parties to form a consensus on forming such a front which could thwart Narendra Modi and Amit Shah's plans of securing yet another term for the saffron brigade. While Lalu is organising a mega rally in Patna wherein he has invited all the top leaders of “secular” parties, DMK patriarch K Karunanidhi 92nd birthday would witness senior leaders participate in the celebrations which is also being seen as a platform to unite secular parties.